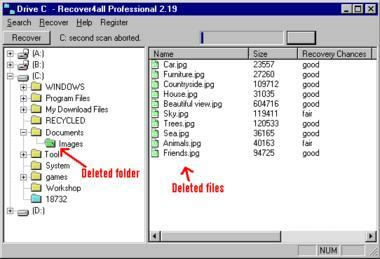 With the Recover4all� Software you can easily recover (undelete) files that were accidently deleted under Windows. 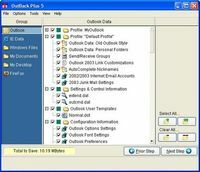 The deleted files can be recovered with a few mouse-clicks in a familiar Explorer-style interface. It does not matter if the files went through the recycle bin (and have been lost since the bin was emptied) or were directly deleted. The program is fast and very easy to use. To prevent files that were already deleted from becoming overwritten, Recover4all� does not require installation and can e.g. run directly from a USB drive. 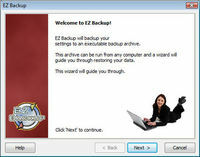 Recover4all� Professional main features: - Runs under Windows 7/Vista/XP/2000/Me/98. - Recovers files which were deleted directly or through the recycle bin. - Supports all file types including documents, images, movies, music etc. - Can recover from formatted drives and within deleted folders. - Supports all NTFS and FAT files systems, all kinds of compressed drives and files, Windows ME/XP protected files, all RAID levels, all third party encrypted drives not encrypted by Windows. - Supports long filenames in all languages. - Supports drives recognized by Windows with IDE, SCSI, USB, PCMCIA and other interfaces. - Supports local internal and external drives like hard disks, USB drives, memory cards etc.. - Multithreaded on FAT drives: you can browse and recover while the program still searches more deleted files. - Does not require installation to protect already deleted files from becoming overwritten. - Does not recover files to the drive where they were deleted from in order to protect them from becoming overwritten.